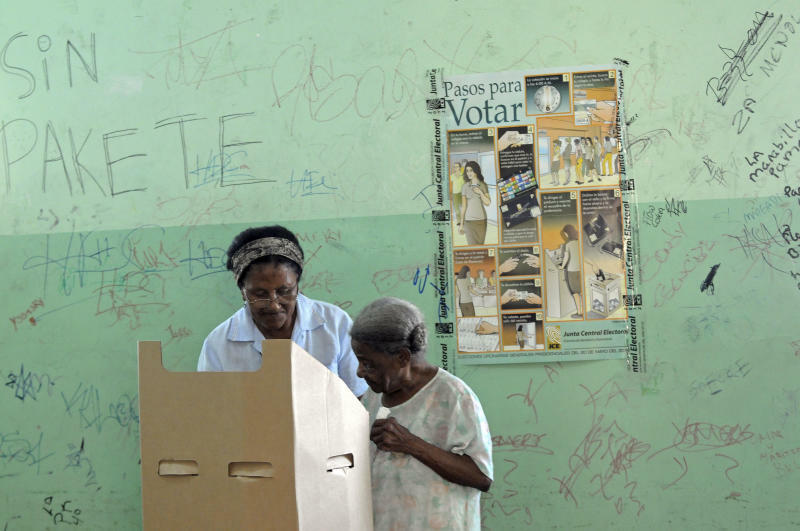 SANTO DOMINGO, Dominican Republic (AP) — A governing party official appeared to have scored a first-round win in the Dominican Republic's presidential election but supporters of his main opponent complained of vote-buying and other forms of fraud and said they would challenge the results. 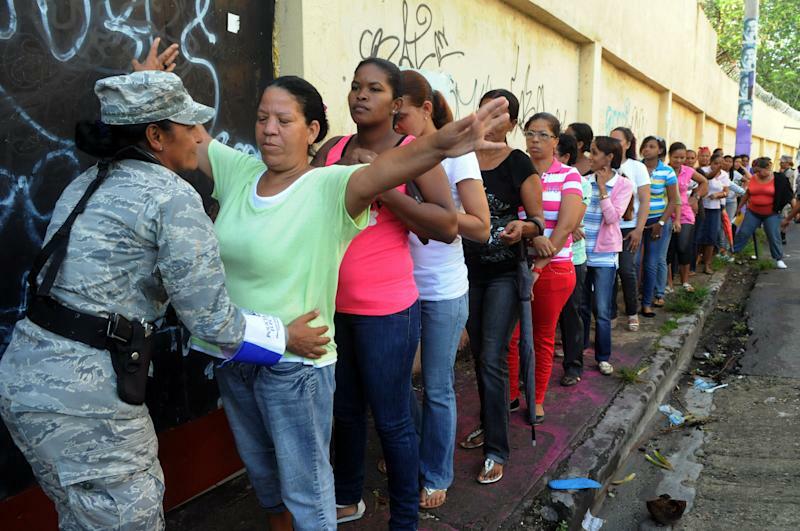 Danilo Medina of the current president's Dominican Liberation Party received just over 51 percent of Sunday's vote with 83 percent of the ballots counted, according to the Caribbean country's Electoral Commission. 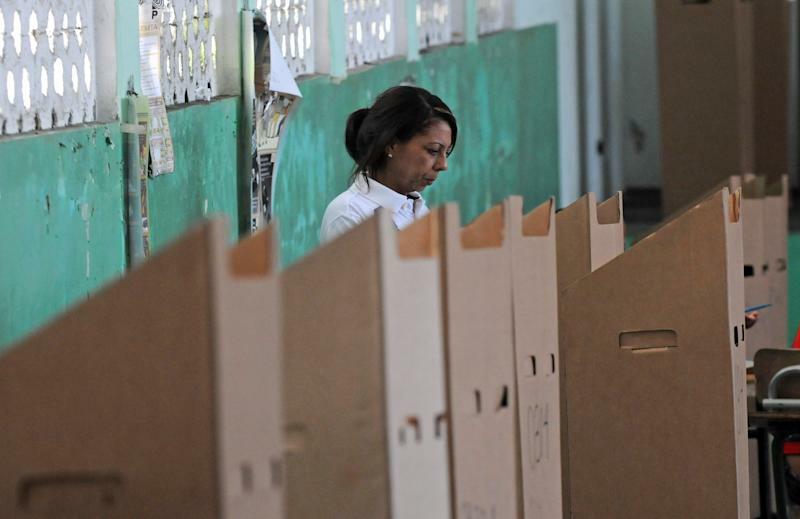 His main rival, former President Hipolito Mejia of the Dominican Revolutionary Party, had nearly 47 percent. The winner needed more than 50 percent to avoid a runoff. Medina said he was confident he would win, but that the Electoral Commission would keep scrutinizing ballots through the night. He thanked a crowd of supporters and sent them home. "We will celebrate in a big way tomorrow," he said. Mejia did not concede and questioned the results as did others in his party. Luis Abinader, his vice presidential candidate, said the Dominican Revolutionary Party would present a report detailing irregularities on Monday. "We are going to defend democracy," Abinader said. "We are going to show the country what really has happened today." Mejia's representative on the Electoral Commission accused the ruling party of fraud, saying the former president should have received many more votes than the results reflected. "We all know what party the director of the Electoral Commission belongs to," he said at a news conference. Observers from the Organization of American States confirmed incidents of vote-buying but not enough to taint the overall results of what was otherwise a "successful," election, said the head of the mission, Tabare Vazquez, a former president of Uruguay. The candidates were vying to succeed President Leonel Fernandez, who spent $2.6 billion on such major infrastructure projects as a subway system, hospitals and roads to modernize a country that is the top tourist destination in the Caribbean but remains largely poor. Fernandez was barred by the Constitution from running for a third consecutive term. Many voters conceded that Medina, a 60-year-old economist and stalwart of the Dominican Liberation Party, wasn't a particularly exciting candidate, but said they were eager for stability in a country with a history of economic and political turmoil. Mejia and his Dominican Revolutionary Party have a devoted following. Supporters of the 71-year-old garrulous populist sought to portray some of the public works spending as wasteful and benefiting backers of the president, and insisted he wasn't to blame for the 2004 economic crisis. Demetrio Espinosa, a 60-year-old jobless resident of the capital's Colonial district, said Mejia understands the needs of poor people like him. He said most people can't afford to be treated in the new hospitals nor do they need a subway if they don't have a job. "They made a lot of their friends into millionaires and spent the public's money," Espinosa said of the ruling party.